Bedford Town have added more new faces to their squad ahead of the upcoming season. On Tuesday The Eagles announced the signing of Mason Watkins-Clark, a versatile 23-year-old who can play in central midfield or in defence. He comes with a good pedigree, with his previous clubs including Stoke City, Aston Villa and Wrexham. The club has also signed 27-year-old keeper Niall Cooper, who was at Rugby Town last season and has also appeared for Stratford Town, Kettering Town and Redditch United. Meanwhile, ex-Bedford Town attacker Dan Walker, who left the club to join Luton Town earlier in his career, is also back. These signings follow a further six new faces who were added to the squad last month. Defender Jordan Jarrold, midfielders Dean Dummett and Callum Donnelly and defender/midfielder Tommy Hull were unveiled in June while midfielder Taylor Rhiney and striker Jermaine Hall are returning from last season. 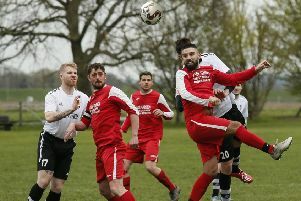 Both of this week’s new signings were announced following Bedford’s 2-0 win over Cranfield United in a pre-season friendly on Tuesday evening, with Phil Draycott scoring a double. His first was a tap-in just two minutes after the restart and he wrapped up the victory eight minutes from time with a long-range strike that slipped through the hands of the keeper. It followed Bedford’s emphatic 6-0 win at Eynesbury Rovers on Saturday. All of the Eagles goals came in the second-half, with Draycott, Paul Benson, Walker (2) and Ashton Grant (2) getting their names on the scoresheet. Their pre-season continues on Saturday with a mouth-watering clash when they host League One side Southend United at the Eyrie at 3pm.